I find inspiration for these posts in the most unexpected places. I went to see the eye doctor this weekend and this was a really big deal to me. Seems silly, but I am a contact lens wearer and I hadn’t been to see the eye doctor in years. That is way too long! I felt like I was going to confession and being Methodist, this was kind of a new feeling for me. I was scared to death that he would take away my ability to wear contacts and I would have to turn into a glasses girl again. I’m a big girl, I could wear glasses, but I really like my contacts. Why did it take me so long to go see the eye doctor? It is really simple. I didn’t feel good. I have 4 busy children and I am totally devoted to running them around and embracing the “Super Mom” roll that so many of us love to take on. The problem was………….I didn’t feel good. I often had headaches, digestive problems, and no energy. These feelings led to having anxiety over having headaches, digestive problems, and no energy. I was stuck in this vicious circle. 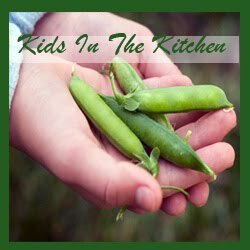 I couldn’t stand to see the disappointment in my kids’ eyes when I was too sick to do something with them. I was lost and confused and didn’t know what to do. Not knowing if it would help in any way, I turned to food as a possible solution to my sickness. What does this have to do with my eye doctor? Two things really. As I was confessing and asking for forgiveness, I realized that going to the eye doctor was a celebration of sorts. 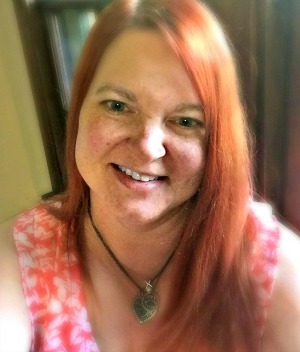 I was well enough to take care of myself in more than just the “basic needs” kind of way. The other interesting connection is that my eye doctor told me his own story of being addicted to Diet Coke. My ears perked up right away because I am also recovering from my own Diet Coke addiction. We shared stories of headaches and pain reliever usage. We talked about needing more and more pain relievers all of the time and having a deadline that we needed to meet to start our pain relievers. Horrible headaches that we are both proud to say have gone away since kicking the diet pop habit. You may not have the symptoms that I had or to to the extreme that I had them, but I know that cutting out processed foods from your diet can only help you to feel better and live a long and happy life. Investing in your health is the best investment you can make. 1. It makes sense. Why do we need all of these newly “invented” foods? Eating foods that we can pronounce like our grandparents ate certainly can’t be unhealthy. 2. Look around you……….why do so many people have diabetes, coronary disease and cancer? I am not a doctor, but there is plenty of evidence that much of this is related to diet. 3. Why would you want to eat a food-like product that food scientists design to never rot? That is just gross! As the saying goes, the longer the shelf-life, the shorter your life-span. 4. The documentary “Food Inc” tells us that 90% of processed food is made from corn or soy. I don’t know about you, but that doesn’t sound like much variety to me. 5. Besides great long term benefits, cutting out processed foods can provide lots of great short-term benefits like reduced headaches, weight loss and more energy. 6. Eating processed foods can give the illusion of health, if you believe what you read on the labels. Low fat, low carb and vitamin fortified foods are actually making us sick and fat. A better alternative are foods that are naturally low in fat and full of vitamins and minerals. 7. Empty calories are a big waste of money because they don’t add anything to our health. White bread and other items that are not whole-grain are really empty calories. You are not eating for nutrition when these items are eaten. All of the nutrition has been stripped away. 8. The food industry has shown it is not very good at seasoning our food. Have you seen the amount of salt they use? Wow! Now is a great time for you to commit to cleaning up your diet. Small changes in the food you select can create huge changes in your health. Give it a try. Soon you will wonder how you could have been missing out on all of this great food. 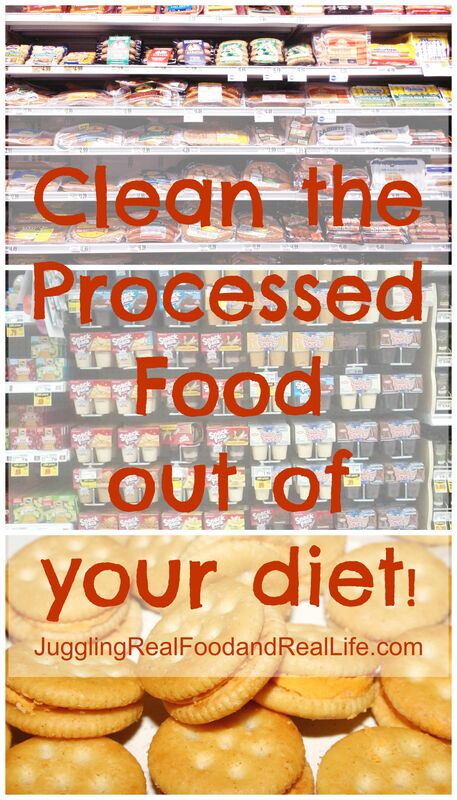 Are you still eating processed food? Have you noticed a difference in your health since you eliminated processed food from your diet? If you are looking for a step by step approach to eliminating processed foods, check out our Juggling Weekly Challenges. Don’t forget you can join us on Facebook for more fun and support along the way. You can also follow us on Twitter @Jugglngrealfood if you are interested in learning more about the Real Food Movement. You can also follow our boards on Pinterest. Thanks for the encouragement Laura. You are so right! It is easy to cut out processed food at home, but much harder when we go out into the real world. It's important to me that my kids grow up and live to be really old people. I'm giving them the foundation to set that plan in motion. I love that healthier eating helped you be well enough to take care of yourself in more than a "just the basics" way. I'm all about women taken great care of themselves, but it's something we find so hard to do. Gaye, you are so right about women not taking care of themselves. Why do we do that when so many people depend on us?